I recently had a dream where I was in Scotland again – probably because I’ve been hard at work writing a new book currently called Too Far to Fall. Check out some of my inspirations in my post at Not Your Usual Suspects! Head over to the Carina Press Blog to read about my true feelings toward the Betrayed by Trust hero, Joe Rossi. You can also enter for a chance to win a copy of the book! Also check out the Carina Press Facebook page to see some of my favorite lines from the story. 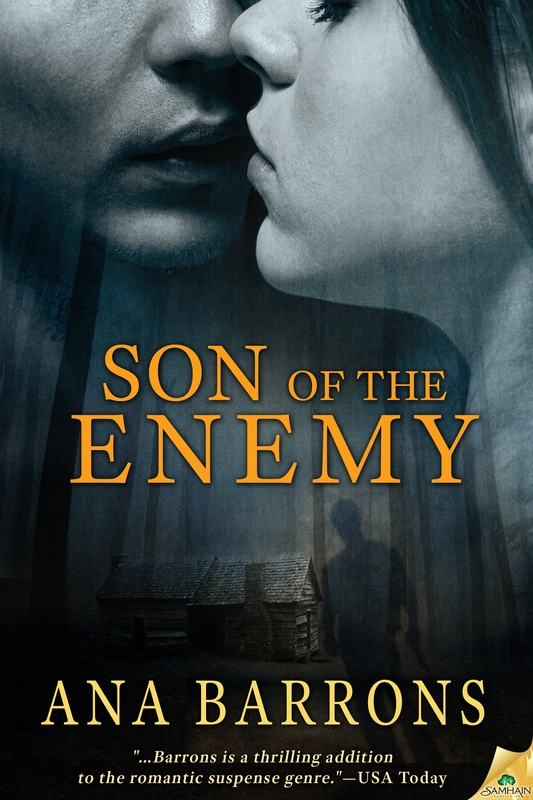 Son of the Enemy is officially out now! Enjoy! In the meantime, I’m blogging on the USA Today blog Happy Ever After today about some TV shows that helped inspire my new book—stop by and say hi! I have a blog post featured today on Not Your Usual Suspects! As authors we have to use our imaginations—goes without saying, really. As romantic suspense authors, our imaginations often take us to some pretty dark places. And we live there for as long as it takes to feel the chill down our spines or the outright terror clawing at our guts and get it down on paper. We go back there, over and over, to those black corners, cobwebbed hidey-holes and damaged psyches, smoothing the contours, adding that final layer, the slightest hint of light or deepening darkness. Head over to NYUS to read the rest, and let me know what you think!